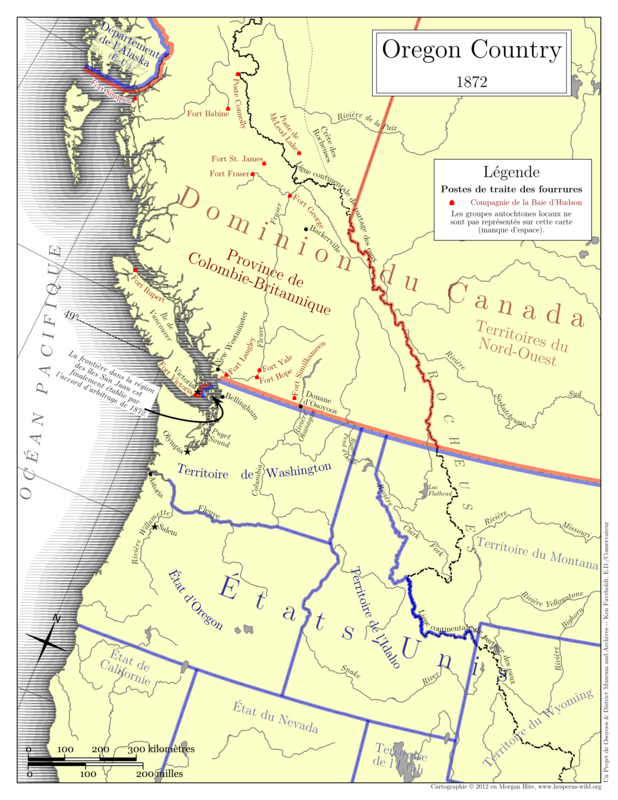 For his exhibit on the War of 1812 and its effects in the Pacific Northwest, Ken Favrholdt at the Osoyoos District & Museum asked me to make a series of maps. 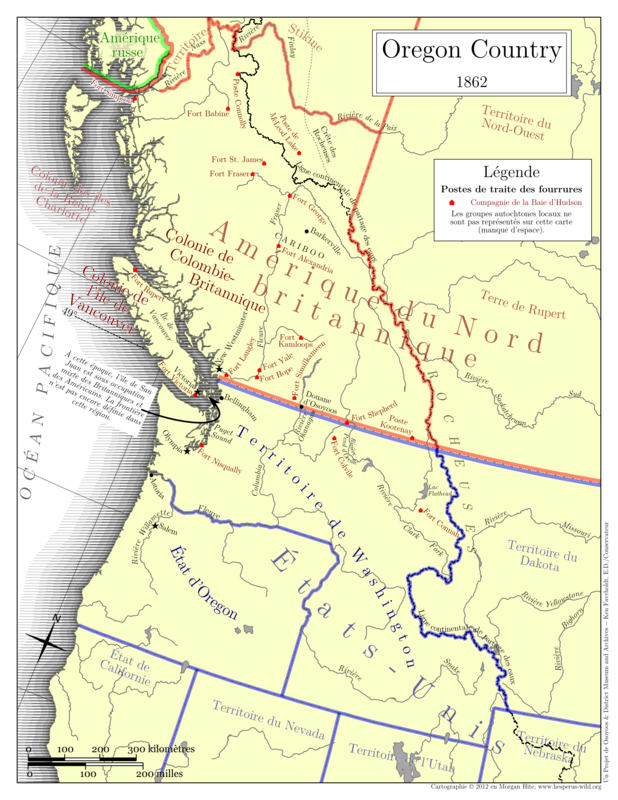 One set of nine maps, for the online version of the exhibit, would portray the changing borders, fur trade posts and settlements of the Oregon Country in a series of snapshots from 1792 to 1872. All maps would share the same basemap. These were produced to print on letter-size paper (8.5" x 11") at a scale of 1:8,000,000. 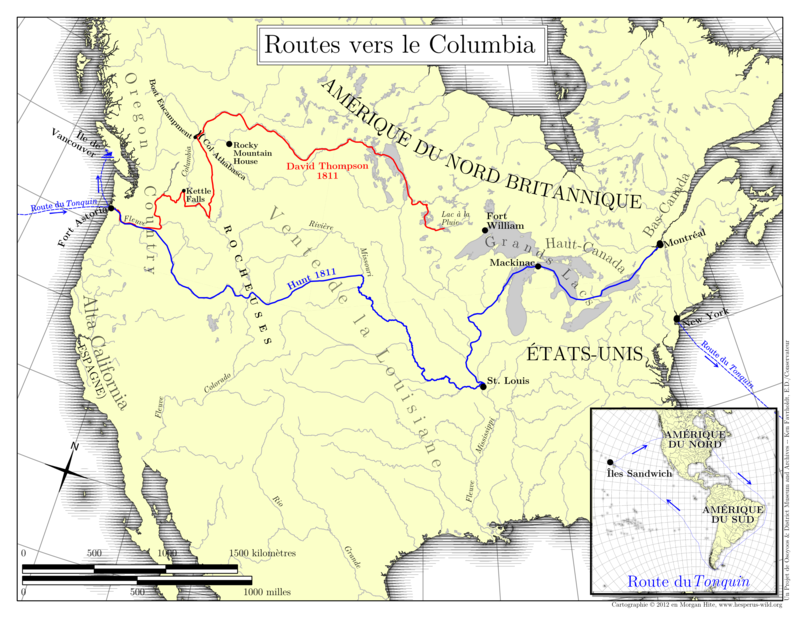 The series of nine maps is online in both English and French versions at the exhibit site. 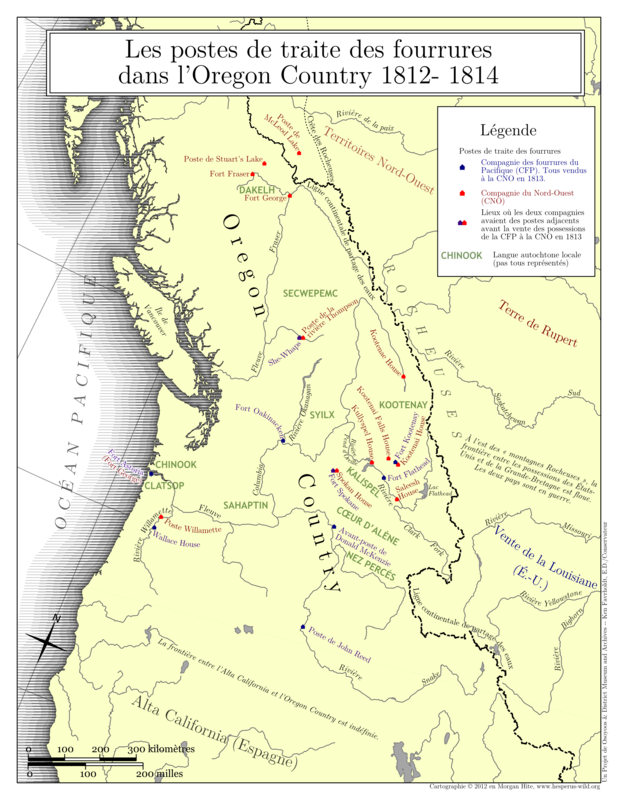 Each map is accompanied by a brief history of what was going on in the area at that time. Click on any map thumbnail for the full version. There was also a second set of three maps, to be part of the actual exhibit at the museum. Click on any thumbnail to see the full version. As far as we know, this series of maps represents the first historic mapping series for the whole Oregon Country (both north and south of the 49th parallel). 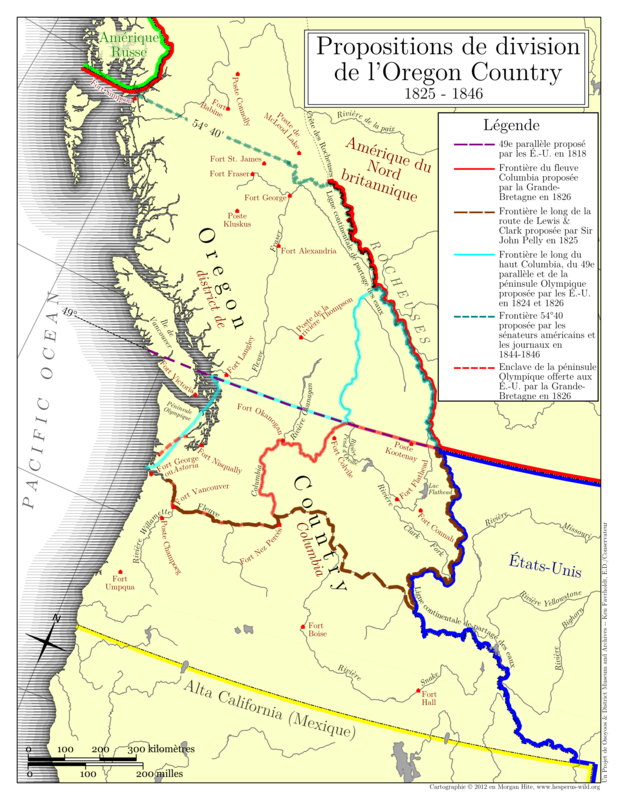 They should be of value to students studying the history of this area, which in the United States became the states of Idaho, Oregon and Washington, and in Canada became the province of British Columbia. 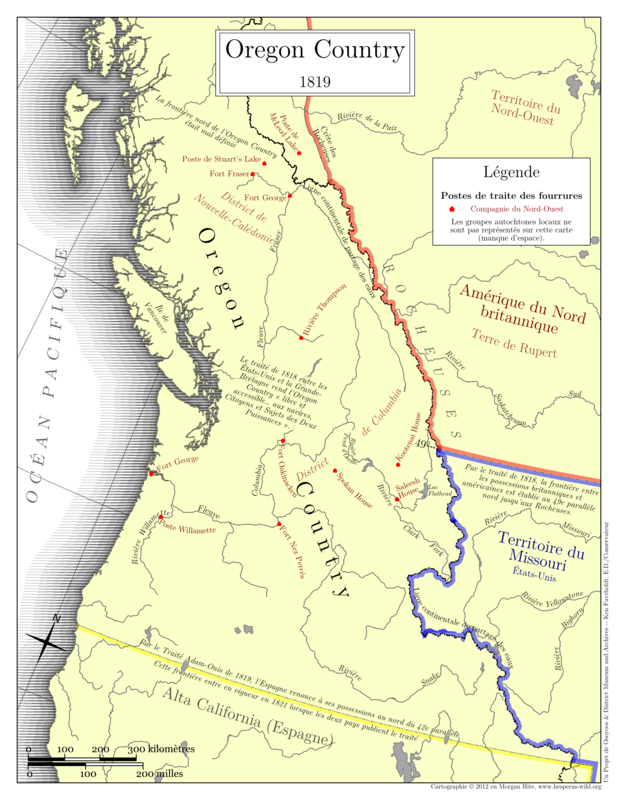 the Fur Trade Posts of the Oregon Country, 1793-1872. 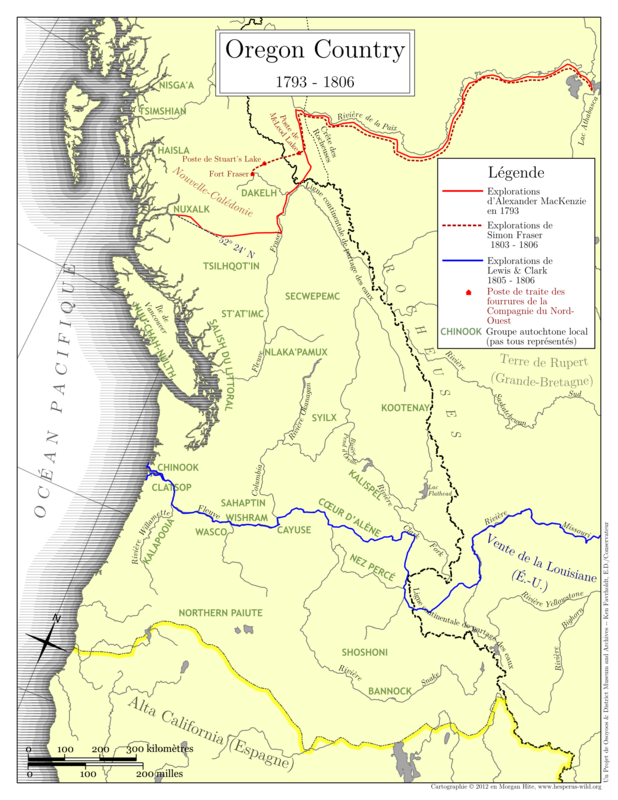 The data is based on Bruce McIntyre Watson's exhaustively researched book, Lives Lived West of the Divide, A Biographical Dictionary of Fur Traders Working West of the Rockies, 1793-1858. 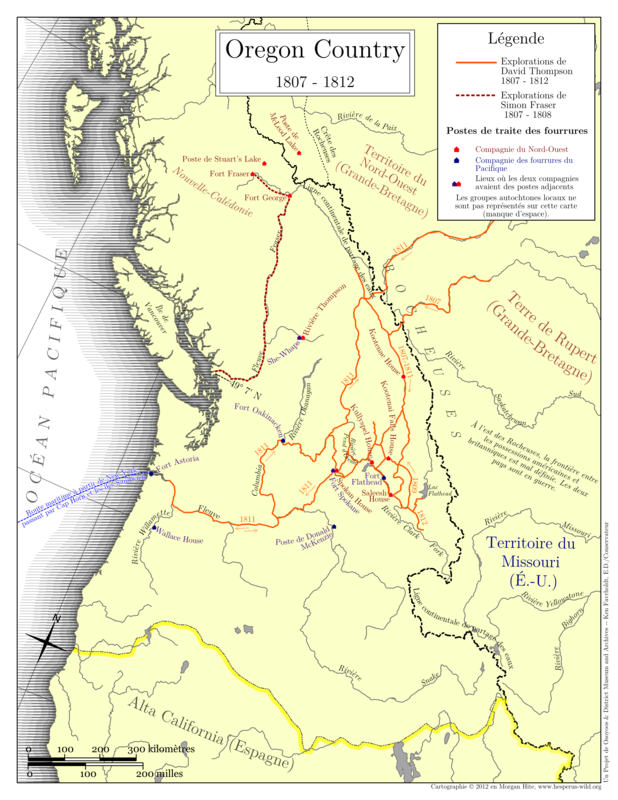 It is available as either shapefile or KML. the Oregon Country polygon. Bounds used are the Pacific Coast, 42° north, the crest of the Rockies and the Nass and Finlay rivers. It is available as either shapefile or KML.